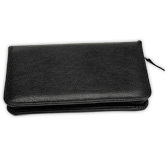 Add some class to your checkbook when you choose this design featuring the letter 'J' in an elegant monogram! It's a stylish selection reflecting your timeless taste. A fancy scroll surrounds the monogram giving your new checks some fantastic flourish. This decorative selection can be ordered in any of the 26 letters in the alphabet - from Abrams to Zalinkski! 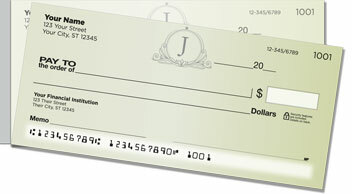 The side-tear format makes it much easier to pull checks from the pad thanks to the shorter perforation. That means no more accidental rips! Order your very own J Monogram Side Tear Checks right now! Make it complete with matching mailing labels.